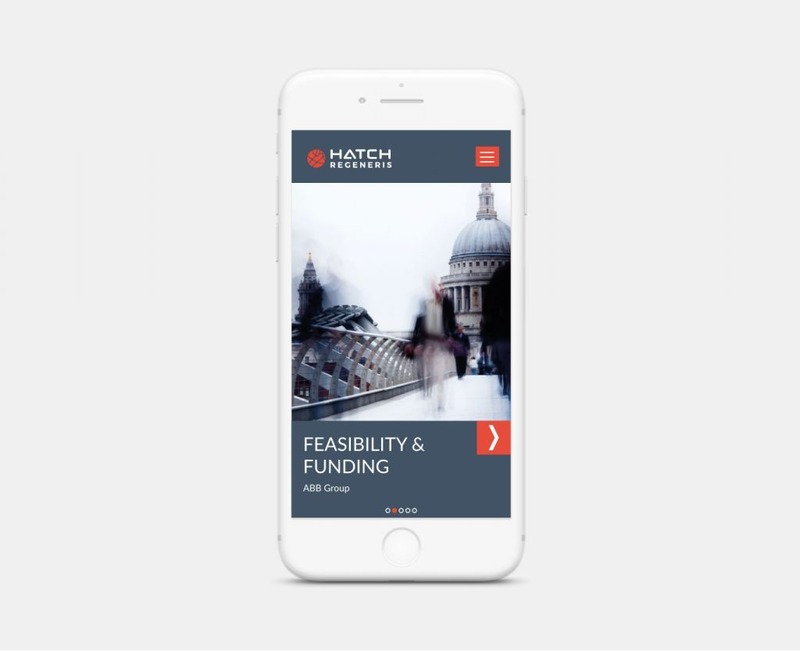 Hatch Regeneris Consulting is an independent economics consultancy operating across the UK and internationally for private and public sector clients. They create economic and social insight to help clients make a positive impact on people, places and economies. Regeneris came to Foundry Digital in need of a complete rebrand. Our starting point was to redesign the Regeneris logo. Their old logo failed to capture the energy and identity of the Regeneris team, so they sought a logo that would achieve a vibrancy and professionalism to reflect Regeneris’ personality. At the heart of the Regeneris Consulting rebrand was their website redesign and build, their old site was failing to present their services and work in either an engaging or attractive way, therefore Foundry Digital came to the rescue with our expertise at designing websites that team attractive design and user-friendly functionality. The logo redesign was an extensive creative and collaborative process which explored multiple concepts, styles and colour palettes on the journey to reaching their new logo design. As well as this, Regeneris also required a new brand palette to implement across research, findings and documentation areas of their online presence. We assisted them in finding a range of colours that provided them with enough flexibility to adapt to the diversity of documents they’d be used for, whilst maintaining and extending a brand identity. Offering a range of services, it was key that the website structure was organised in such a way that displayed each area of Regeneris’ expertise clearly to website visitors. The resulting brand identity designed by Foundry Digital is striking and allows Regeneris to stand out within their industry. As well as this, the website successfully presents the Regeneris services in an easily accessible way. 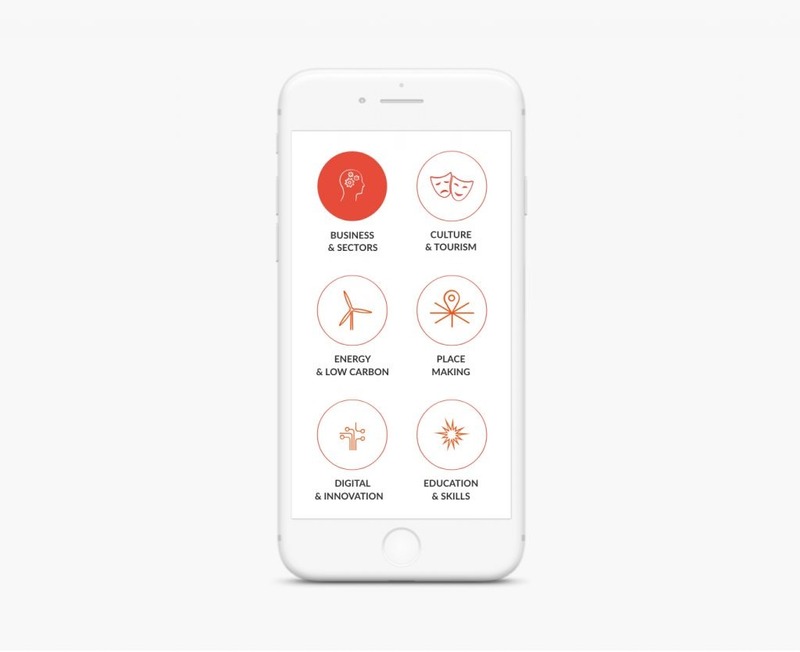 A secondary navigation menu that follows a visitor’s scrolling meets Regeneris’ wish to prioritise their service offering as the Services are continuously accessible as a user journeys around the website. The Regeneris team also have a great presence throughout the website. There is a carousel of team members on the homepage and the People page has a user-friendly search function and an engaging hover effect for visitors to see who Regeneris are. These elements display that Regeneris and convey that the team are very important to the company’s shape and reputation as consultants.